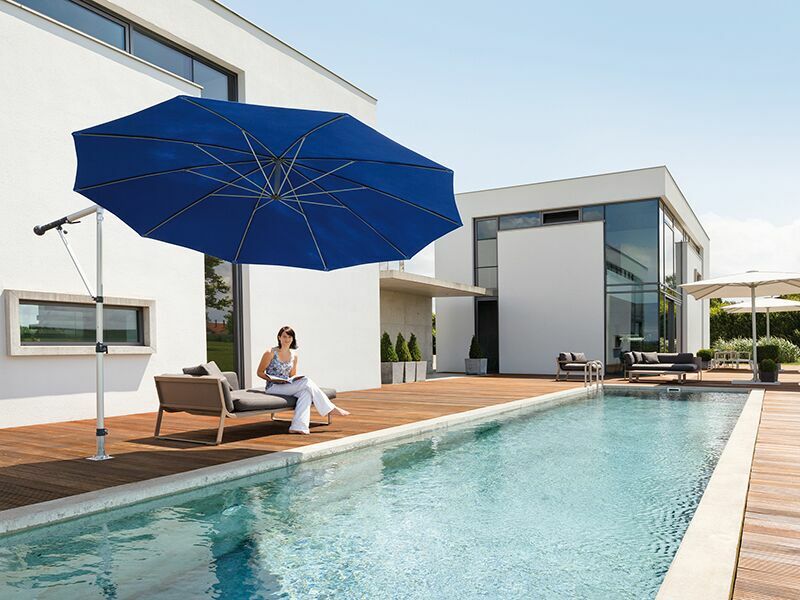 The range of giant commercial parasols and umbrellas available today in the UK is amazing, and one reason for this is great advances in the materials and technology used in manufacturing these structures. 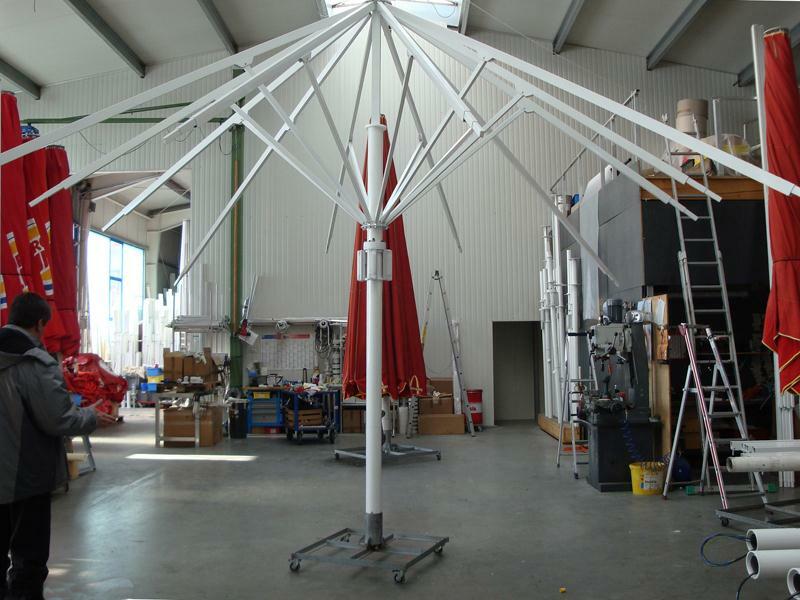 Samson specialise in high grade commercial umbrellas fit for purpose with higher wind ratings and stronger bases, poles and designs. 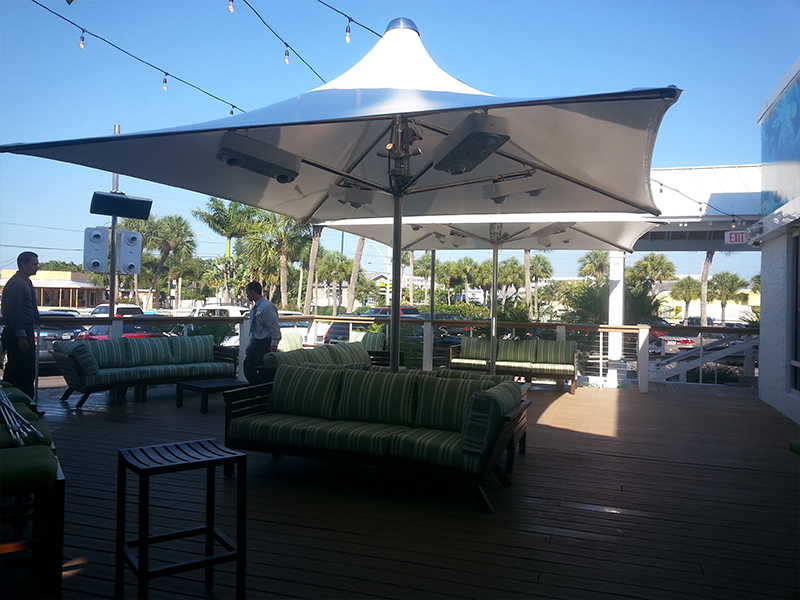 Our philosophy at Samson Awnings and Terrace covers is simple. 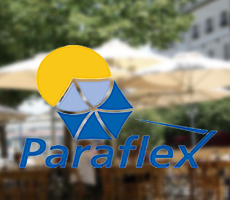 All the commercial parasols that we supply are designed for commercial use, and are manufactured to the highest level for strength and durability. 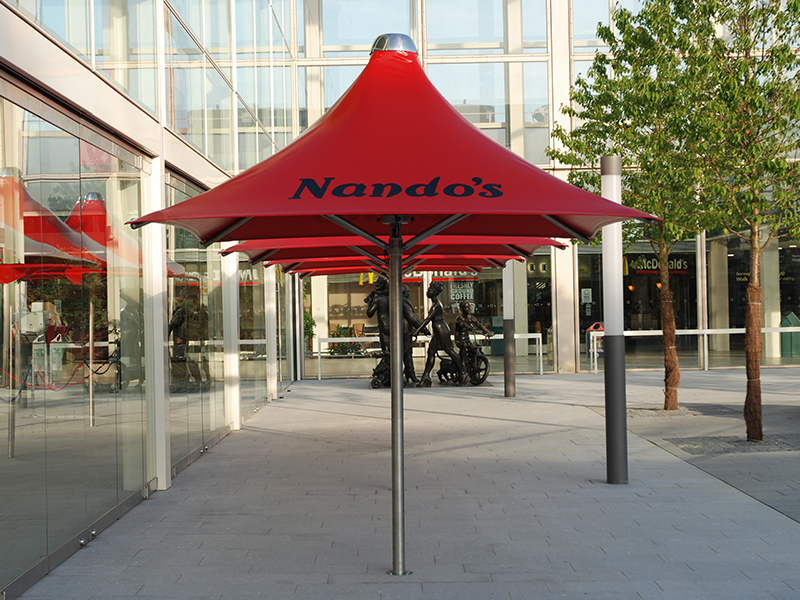 Perfect for use in all sorts of environments, our umbrellas are noticeable on high streets up and down the country. 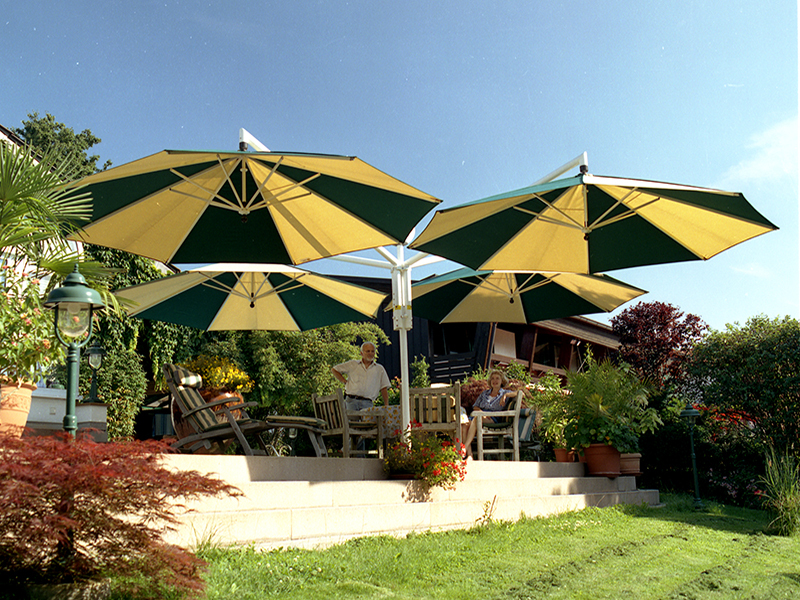 Perfect for pubs and bars, these umbrellas are an easy way to expand into your outdoor space, and are particularly popular in pub gardens. Alongside this, they are useful in a range of other applications such as in cafes, restaurants, and even shops. 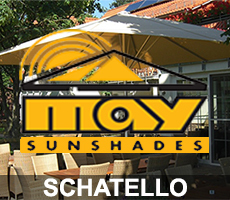 Not only do they provide your customers with additional shelter from the rain, but they can also be used to provide vital shade for the British summer. The use of extras such as heating and lighting systems can even turn these systems into focal points of your outdoor space. 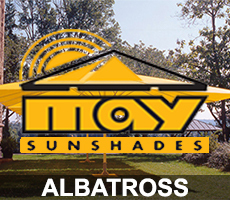 Below is some information on the different sorts of commercial parasols that we sell, with some pictures and examples of each. 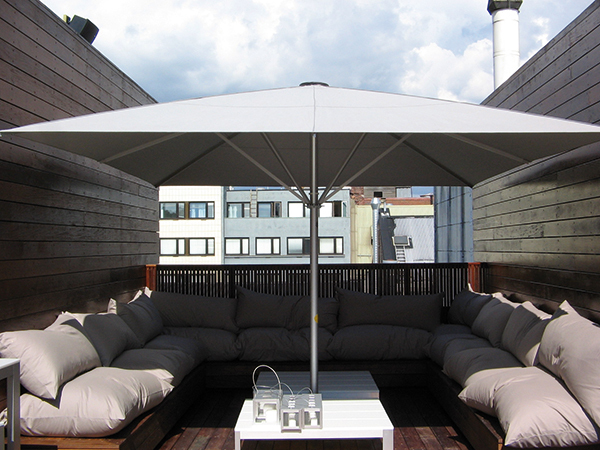 Samson provide a range of side supported umbrellas, which are ideal if space saving is a concern. 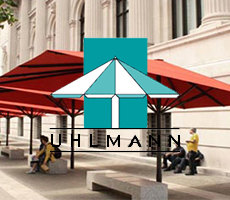 These umbrellas offer outstanding engineering and can provide shade at every conceivable angle to help control the shade required all day long. 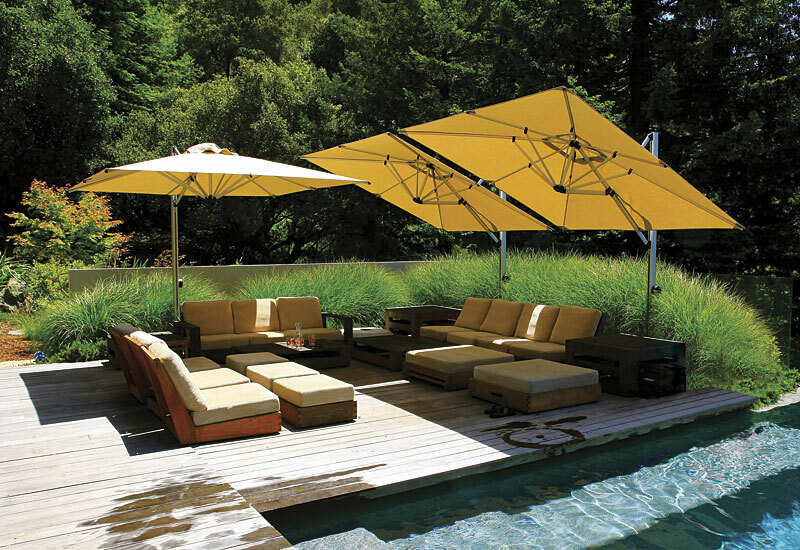 The framework is typically made from aluminium, allowing these umbrellas to be strong yet lightweight. 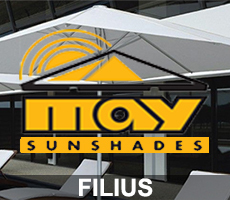 This gives a contemporary design look whilst providing maximum shade underneath the umbrella. 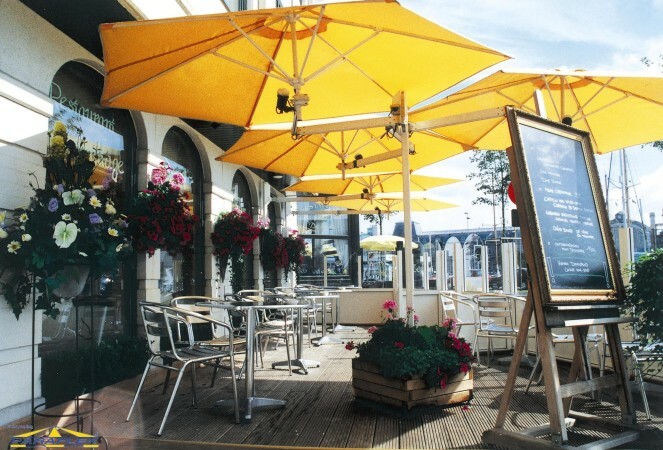 The side supporting umbrellas generally have a lower wind rating than the centre pole systems due to their design. Some of the systems can even have more than one umbrellas attached, which converts it into what we call a “multi-system”. 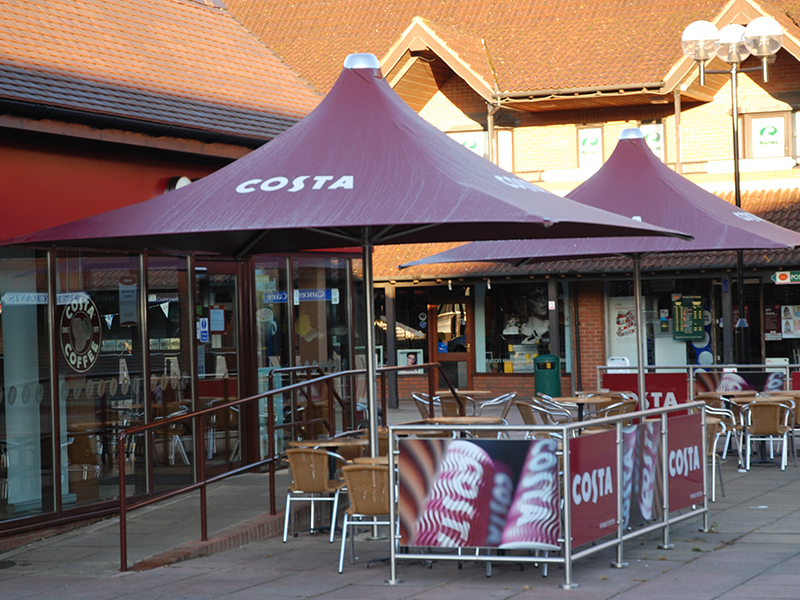 Centre pole umbrellas are a more commonly seen umbrella. 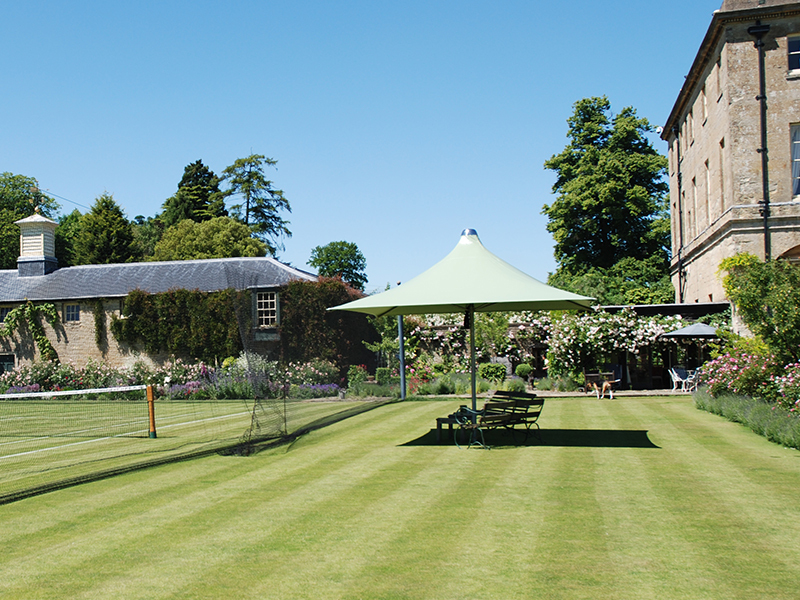 Supported by a pole erected in the centre, they can extend over large distances to offer high levels of shade. 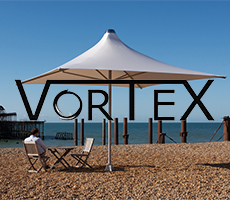 It is now possible to have electric operated centre pole umbrellas, operated by remote control, offering the ultimate in easy management in a busy commercial environment. 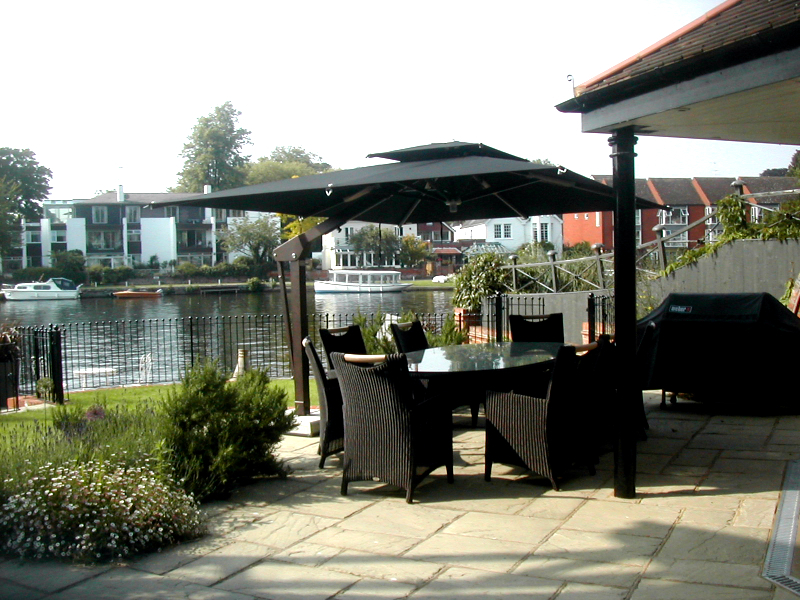 Centre pole umbrellas are seen as the traditional style of umbrella, designed with a strong, ribbed, and branched frame supporting the cover and suspended in the air from a large central pole, these umbrellas are very sturdy and ensure that the umbrella cover remains taut at all time. 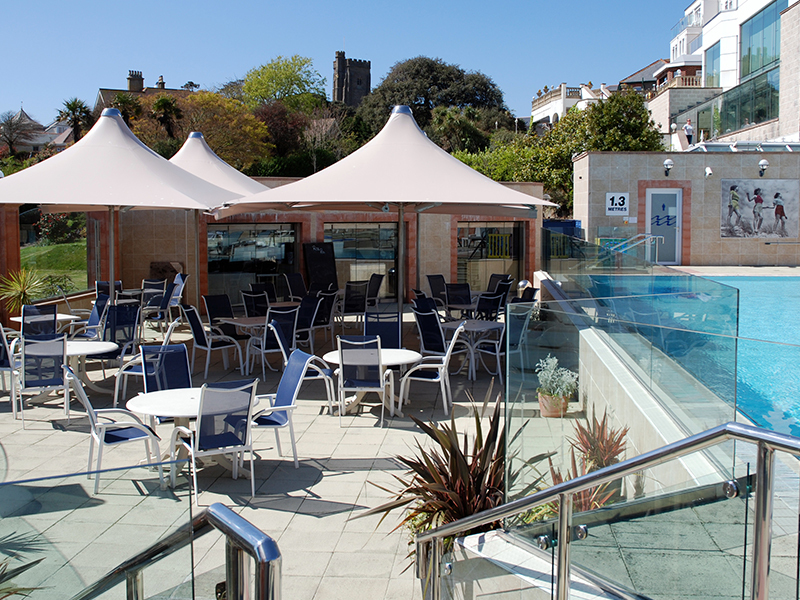 Samson Awnings & Terrace Covers recognise that any product which represents a commercial business must cater for their exact unique needs, which is why we offer a selection of designs, sizes, and shapes. 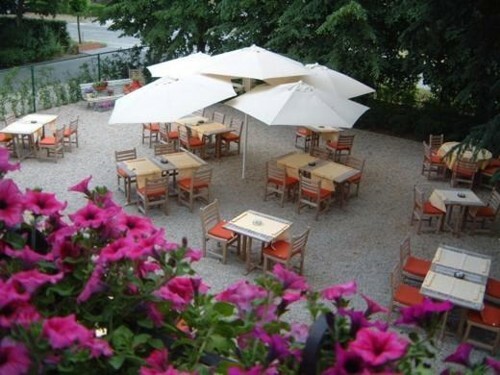 Various shapes are available from squares, rectangular designs, octagonal shapes, or even a uniquely inverted shape for trendy cafes or nightclubs. 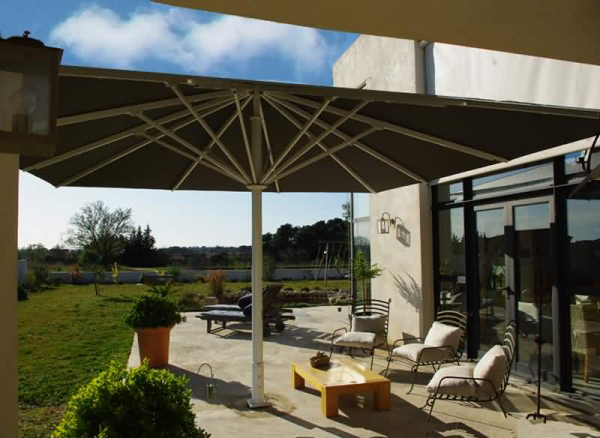 The support for these umbrellas comes from an extremely sturdy centre pole system which distributes its strong attributes through branches in the framework. Stylish side-valances are available on request. 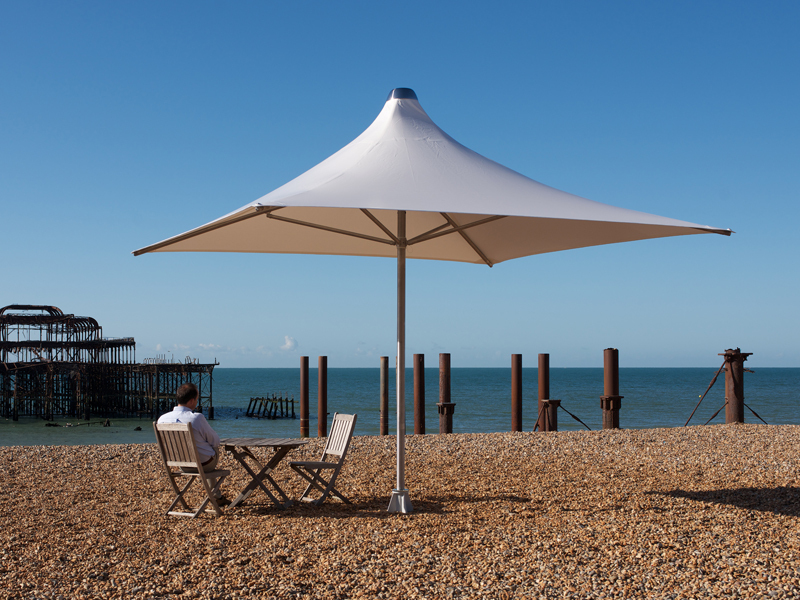 These are available to protect against a sweeping wind from the side, hide an unpleasant view, or simply just to offer a bit of privacy – just a number of uses for this diverse umbrella accessory.